Edison awards have always redefined magnificence. Real Talents never went missing under our radar. We have always stood up as One of the finest awards of the kollywood. This year owing to death of evergreen star Sridevi Boneykapoor, we decided to keep the event low to honour the women superstar of India and to mourn the loss for the film Fraternity. The award ceremony unlike every year started by paying a tribute to Sridevi and mourning the loss. 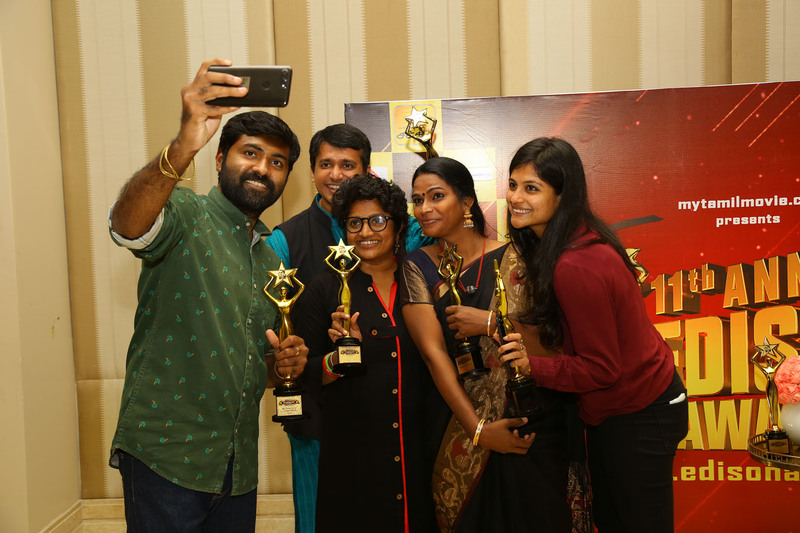 The event at Luxury Star Hotel Leela Palace, began with traditional dance performance and went on to witness various galore, hosted by Vijay TV Fame Jegan & Sun TV Fame Manimegalai. Dance, music and entertaining took elevation with each and every performance. Just like every year singers, musicians and talents from Malaysia, Sri Lanka and various part of the sphere flooded to showcase their talents. John Britto Dance Academy with Cine Dancers cheered up the audience by their astonishing performance. Senthoora Song fame Luksmi Sivaneswaralingam mesmerized the audience with her melody base voice & Singer Sathyaprakash’s peppy song of Azhaporan Tamilan dazzled the dais.